From bottles of wine to handbags, from T-shirts to boxes of cereal, billions of products are getting connected to the web and digitally coming to life. 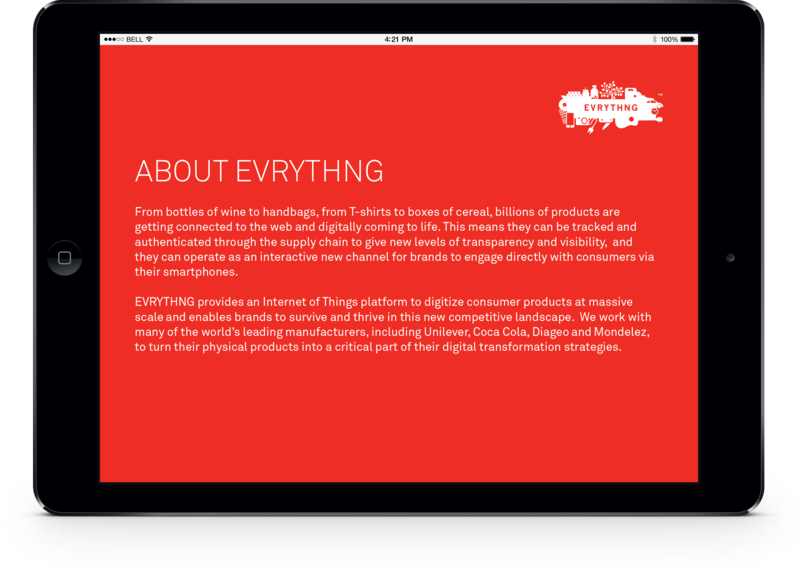 EVRYTHNG provides an Internet of Things platform to digitize consumer products at massive scale and enables brands to survive and thrive in this new competitive landscape. Download this white paper to learn more about EVRYTHNG and how we can help digitize your products. EVRYTHNG is the market leading Internet of Things SaaS Platform connecting consumer products to the Web and managing real-time data to drive applications and analytics throughout the product lifecycle. The world’s leading consumer product manufacturers work with EVRYTHNG to manage billions of intelligent identities in the cloud for their products. Are you ready to make your products smart? Fill out the form to download the white paper and learn how EVRYTHNG can work with you to digitize your products.